Happy Weekend, friends! First of all, thank you for your sweet comments on Wednesday's post. I'm starting to feel the blogging vibe again and am so excited to share today's post. Would you believe I haven't worn a watch since elementary school? Obviously, it was one of those Mickey Mouse watches with the rotating hands - haha! These days, I feel like I rely on my cell phone for the time, so why do I need a watch? But let's be honest, how many times have you pulled your phone out of your pocket to look at the time, been distracted by the 5 text messages, emails, and Instagram notifications you have, and 3 minutes later, when you put your phone back in your pocket, you realize you didn't even see what time it was?! 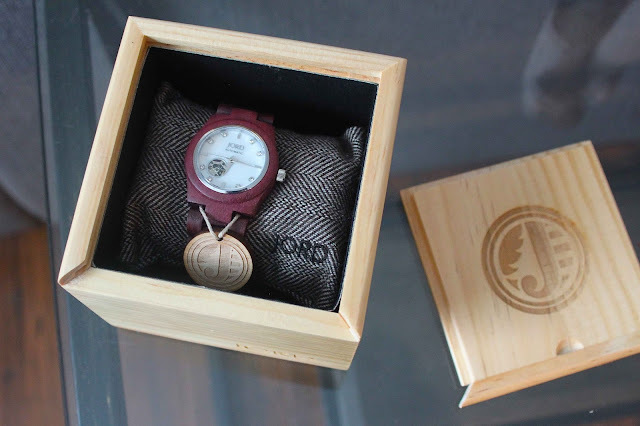 JORD Wood Watches was kind enough to send me this beautiful Purpleheart and Mother of Pearl wrist watch from their Cora series, and I was excited to give "adult" watch-wearing a try. 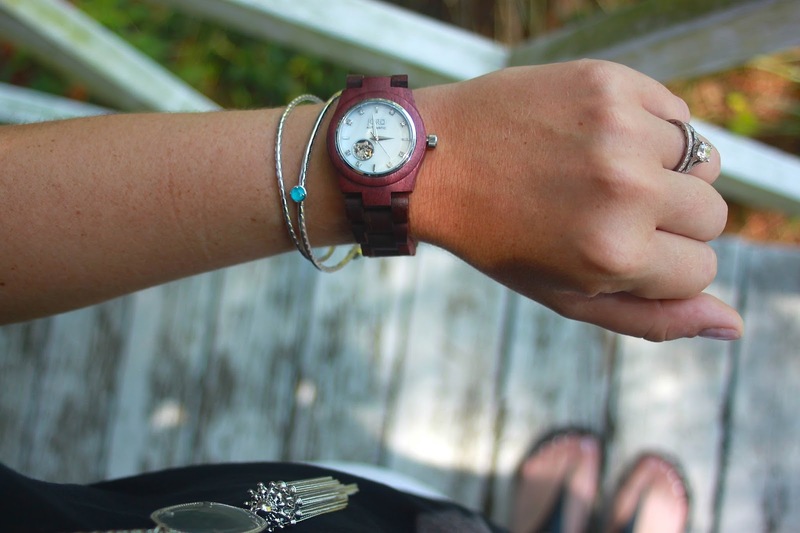 I chose this watch because I knew it would be a great statement piece transitioning from summer to fall. I love the way it complements vibrant summer colors as well as brightens up those autumn neutrals. This watch has quickly made it into my daily routine as one of my most worn accessories, and not relying on my phone whenever I need the time is the best. I love putting it on each morning and the natural quality is fantastic. I seriously have it on all the time. Last weekend, we headed to one of our favorite places in the Lowcountry: The Charleston Tea Plantation. Lined with the most beautiful live oak trees, it's one of the coolest natural places to visit on a hot and humid summer day. 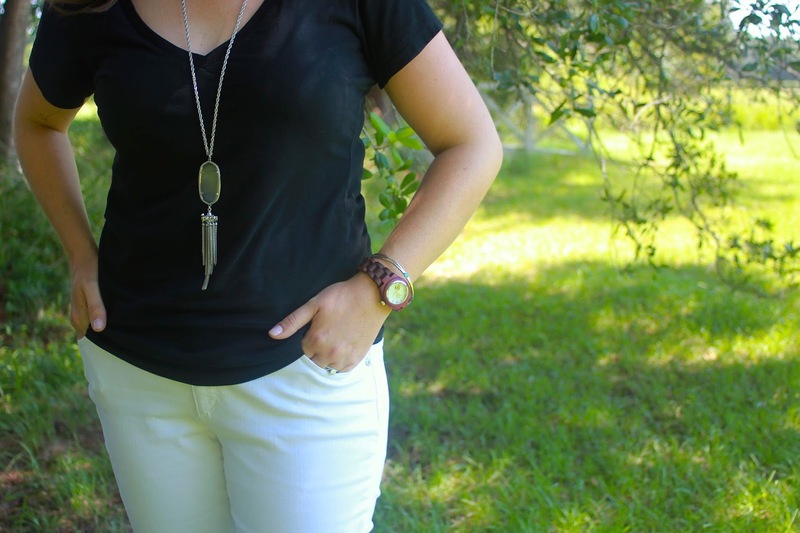 Of course, I added the wood watch to my #ootd of a black tee, white jeans, statement necklace, and favorite bangles. We toured the tea plantation's fields, saw how tea is grown and harvested, and, of course, sampled all their flavors of tea! My favorite is definitely their Plantation Peach. 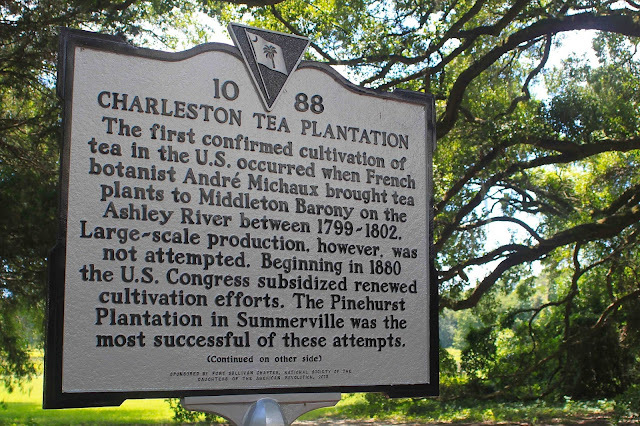 Did you know that the Charleston Tea Plantation is the only tea garden in North America? It's definitely worth a stop if you're ever in the area! 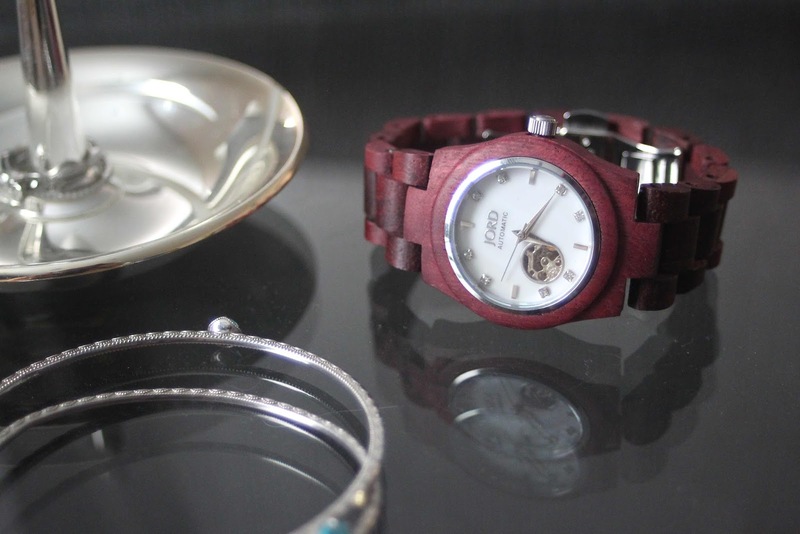 Want to get one of these awesome JORD women's watches for yourself or as a unique gift for a friend? They also make the best watches for men, whether your favorite guy like neutral colors and or bold designs. JORD has been kind enough to give away a $75 e-voucher to one lucky reader. You can enter by clicking here. The best part is that even if you don't win, JORD has a cool gift for you: a $20 e-gift card to use towards the purchase of any watch on their site. The giveaway ends on August 28th and all $20 codes to those who enter will be sent out on that date. So, yes, I am now official a watch-wearer thanks to JORD! Who doesn't love a pretty and functional accessory?! that watch is super pretty! i am a watch fanatic but i have my favorites. glad you've been converted! Ohh this is so pretty! Love the color you picked out! I am loving that watch! I can't remember the last time I wore a watch, I usually only wear one for a special occasion. I love this watch! I have a few I like to change up my outfits with, but I feel like this Jord watch, I could wear a lot! That is beautiful!!! I love the color of it. That watch is so pretty, and it looks great with your outfit for touring the Tea Plantation. 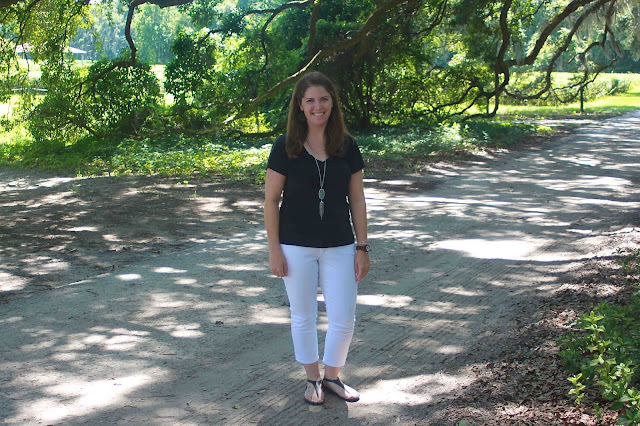 One of my favorite parts about Charleston was all of the live oaks, so I would love to tour the Tea Plantation, even if I'm not the biggest tea drinker! LOVE the color of the watch! Honestly, I wear watches as accessories haha I never look at the time. I have quite a few I have gotten as gifts but none of them have battery haha .. Happy Friday! 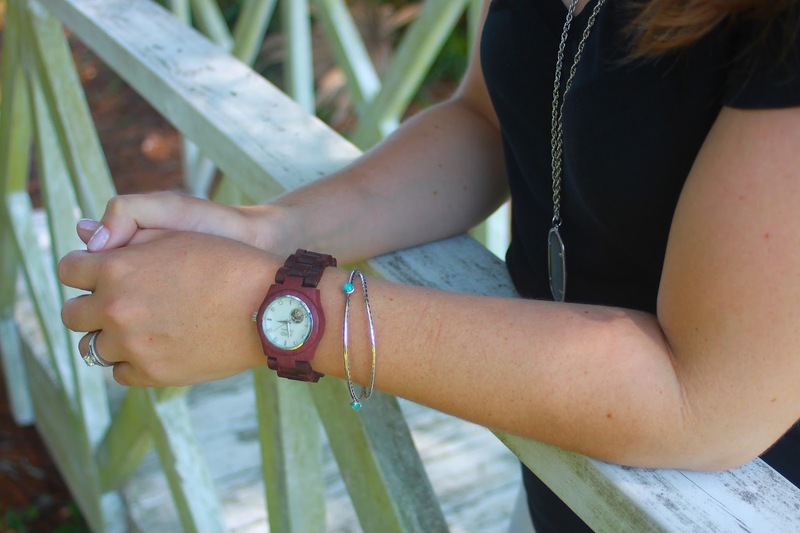 I love love love Jord watches! I may have gotten a little too excited when I saw your Insta this morning with your wearing this one. What a fun twist on them that is it colored! I have never heard of Jord watches, but they look awesome!!! I love the color. Visiting Charleston Tea Plantation is on my list of things to do! I won a $75 credit to Jord so I bought one but I haven't worn it yet because of my Fitbit! I'm honestly tempted to just wear my Fitbit on my right hand and watch on my left and risk looking like a big nerd. Ha! I absolutely LOVE that watch!! The color is beautiful. I have a Michael Kors watch that I wore all of the time but it recently broke and I haven't been ready to spend the money on a new one. I love watches and still have yet to own a Jord watch...might have to be my next one! I love the one that you chose!